With the busy schedules, it’s getting harder and harder to juggle all your tasks and responsibilities. And the LAST thing you want to have to worry about is cleaning those hard-to-reach areas of your home. Even if you do your best, some days there’s just not enough time. That’s where recurring cleaning services come in. Recurring cleanings are an ongoing engagement with a monthly, bi-monthly, weekly, or bi-weekly residential cleaning and/or maid service that comes to your house on a once a month or bi-monthly schedule to get your home clean and tidy. Whereas one-off cleaning engagements are great to play catch up from months and months of neglect in your home or commercial business, monthly cleanings allow you to keep your home or office clean and sanitary day after day without letting it’s cleanliness go by the wayside. If you have a tight schedule, you’re bound to fall back on the daily house chores. A professional cleaning service company like Maid Zen relieves you the stress of having to maintain your home, allowing you to focus on other things, like friends, work, and family. We have a team of highly-trained and experienced staff guaranteed to provide exemplary services. AND we work with environmentally friendly, green products so your home will be clean and safe for your family. When you hire recurring services, you can be sure they have the tools, training, and the skills to offer great cleaning services to health and safety standards. Finally, if you hire the professional monthly cleaning service, you’re sure that your home will be cleaned off the dust and any allergens that could be hazardous to your family if left lying around for long. 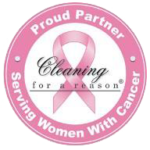 Maid Zen Specializes in Houston communities and should be your destination for quality cleaning services in the Kingwood, TX area. We have the equipment, highly-trained and trusted staff to get the job done. For a free quote on recurring residential maid service, call us at (832)-229-1053. We provide one-time cleanings, move-in and move-out cleanings, and Make-ready cleanings. If you choose recurring services, we offer weekly, bi-weekly, or monthly cleanings. The more often we clean, the greater the discount you receive per visit.